Naruoka, Y., K. Ando, P. Bulli, KT. Muleta, S. Rynearson, and MO. Pumphrey. 2016. Identification and validation of SNP markers linked to the stripe rust resistance gene Yr5 in wheat. 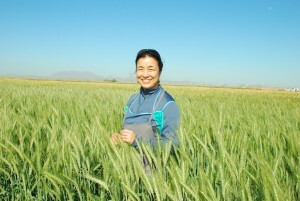 Crop Science. 56:1-11. Ando, K. and MO. Pumphrey. 2015. Cataloging stripe rust resistance genes in elite Pacific Northwest spring wheat through genome-wide association mapping. 2015 Dryland Field Day Abstracts. p.52.